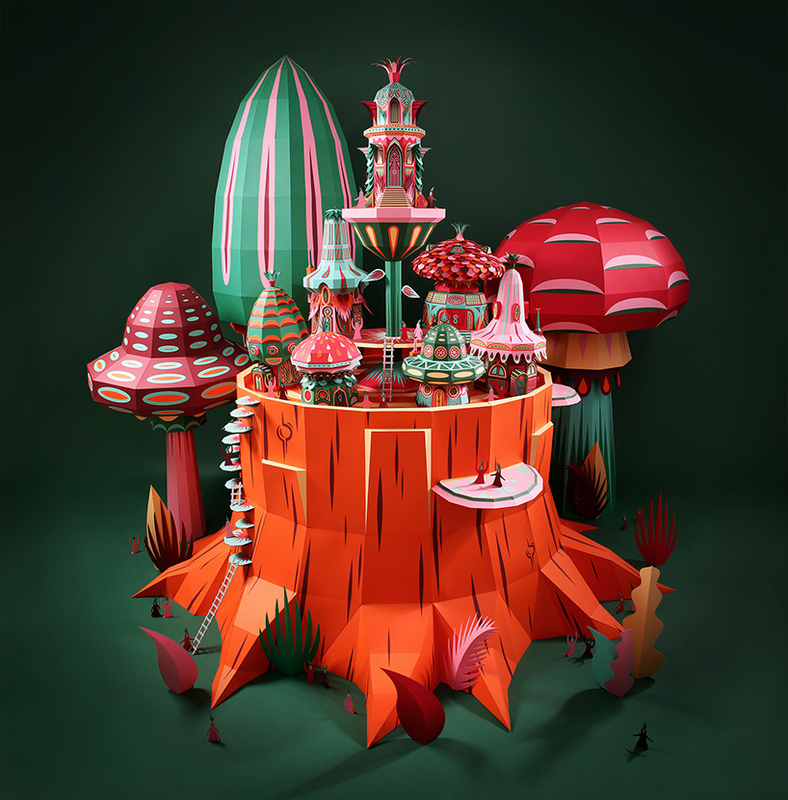 Zim & Zou make these delightful hand-cut paper buildings for their Forest Folks display in Dubai. Nature is surrounding us and never cease to evolve since its beggining. Its run defines the world we’re living in. Nature is linked to every living beings, and every living being is linked to it. In this project, spectators have a sneak pick of the curious characters living inside this environment. This microscopic point of view, where plants and other vegetal reign as masters, is like a kind of picture, a flash, a precise instant in nature’s unrestrained run. Life is everywhere, flowers are growing and carry away its inhabitants in their impetus. This mysterious people is evolving, building, and living right in the heart of the nature, revealing a fragment of their daily life.